Trumpeter/film director/composer Figgis continues his esoteric program of live music at Kings Place over this week. Expect guest appearances, multimedia presentations, film and music. 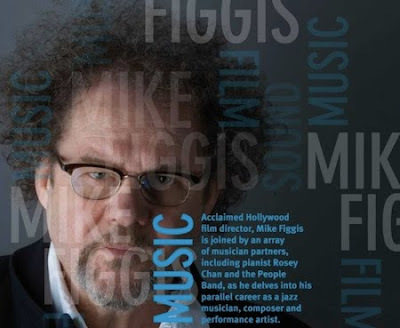 Film director Mike Figgis is fascinated by the powerful psychological effect of film scores on the drama. Tonight he demonstrates his ideas with a live mix of his film ‘Timecode’, changing the score and the mix to illustrate the amazing potential of the music. Three multi media performances written by Mike Figgis. Each combines film with live performance and live music. A haunting performance, featuring classically-trained pianist/performance artist Chan and Lebanese singer Hamden. Combining video projections that show Chan as both a girl and a 90-year-old woman, this will be a mesmerising audiovisual mix traversing jazz and classical sounds. An evening with a difference. Performers from the 40-strong People Band will give a live concert in Kings Place Hall Two.